For his piece on view at the Maison de l’Architecture in Amiens, Filip Berte has produced a large construction, based on a wooden structure covered with sheets of semi-opaque plastic. 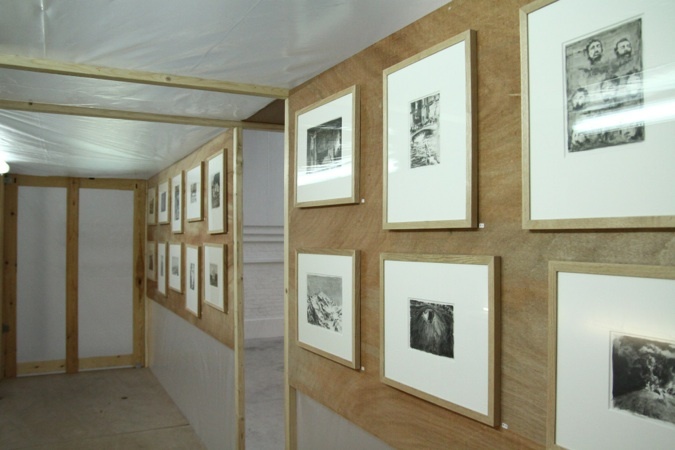 In the first part, a double gallery presents a set of wash drawings taken from archival images recording violent episodes in European memory; in the second, there is another series of drawings associated with the history of the Cypriot conflict, as well as a set of photographs taken by Berte during a residency on the island as part of Suspended Spaces. There is a soundtrack with the artist’s voice commenting upon his visits to places marked by history. With this second gallery, he fleshes out his Collective Memory Gallery project and turns it into an appendix focusing on the case of Cyprus. Made with simple, rough materials, and lit with neon, the installation looks like a building site hut, with a precarious, provisional, fragile status. This is a fragility that we find again in the wash drawings. Precisely indexed and captioned, all the elements of heterogeneous sources in the first part, referring to the history of the great European traumas, result from one and the same style and making, which is Filip Berte’s sober line and stroke, in black and white, like press photos. The space earmarked for Cyprus presents colour photographs reconstructing panoramic views of symbolic sites of the island’s history: the Makedonitissa monument, the beach at Famagusta, and the mass grave at Murataga. In display cases placed under these panoramas, new wash drawings quote from archival pictures associated with these places: theatres where clashes occurred, a forest fire, and the celebration of the island’s independence day. 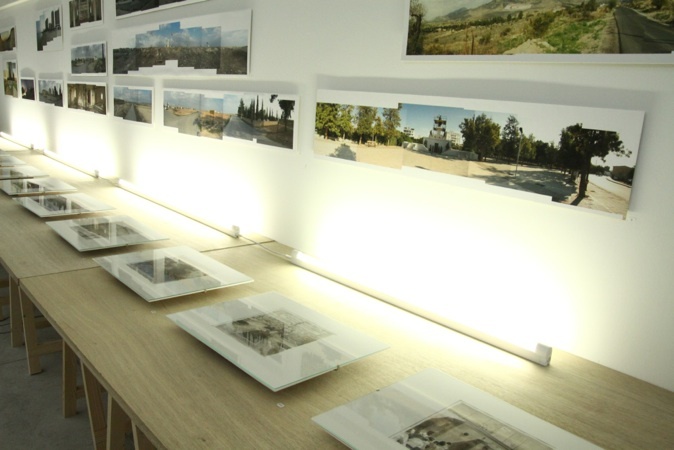 The Collective Memory Gallery is an autonomous part of a very large project called Eutopia. Etymologicaly speaking, Eutopia is not the same as Utopia and its privative prefix U-, to which it prefers Eu-, which in Greek means the real, the right, and the good. The Eutopia project questions Europe in its plural reality, and will hopefully culminate in the construction of a House of Eutopia in Brussels. Based on art and research, this house project which is itself utopian would offer an arena for thinking about and questioning Europe, from historical, political, social and cultural viewpoints. 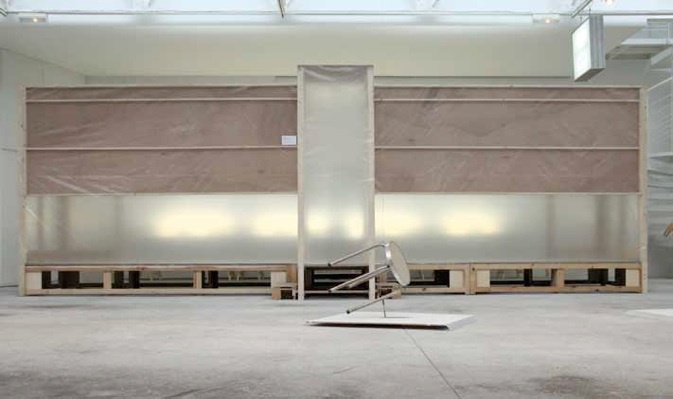 Proposed in the form of a constructed gallery, the installation is also an invitation made to visitors to appropriate memory, in a concrete way: as in an art gallery, it is possible to purchase one of the pictures, each one being reproduced in editions of five.